At the Annual Alumni Christmas gathering last night attended by more than 140 alumni, alumni parents, and faculty, I was reminded of how much I love this time of year. This week, after the terribly disturbing events of last Friday, we have all been living in the shadow of something we can't possibly understand. This is when the healing power of community is so important. Saint David's theme this year is 'true community' and drawn from our mission's subsequent words, it is defined as 'compassion' and 'kindness'. Celebrating Christmas together tonight as a true community, a symbol of peace and light, is an antidote to violence illuminating somewhat the shadows cast. In celebrating community, the school also gathered to celebrate one of our own, an alumnus who has expanded and promoted that definition of community. 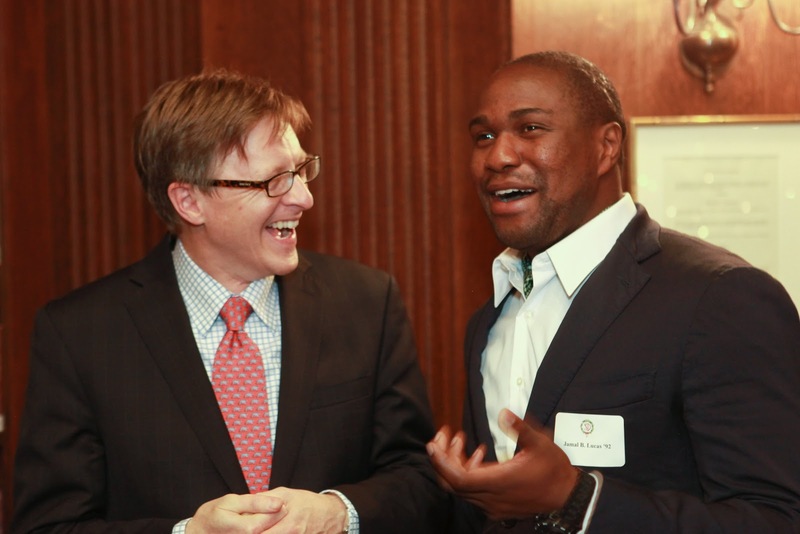 Jamal Lucas, Class of 1992, was named Alumnus of the Year in recognition of his global economic initiatives. Mr. Lucas' aim is to use superior agricultural food security technology to contribute to government policies for medium-term sustainable economic growth in emerging markets across the globe. Among his several endeavors, Jamal is the executive director of the non profit Hip Hop for Humanity, whose warning about illegal diamond mining in Sierra Leone led to a Grammy award winning song. His initiatives include organics and Jamal is a Good Will Ambassador of the Mayara School in Rundu, Namibia. Mr. Lucas is also the youngest recipient of the school's Alumni Award. Upon acceptance of the award, Jamal thanked the school and the Alumni Council under Arthur (Sam) Samuels '84 and Alberto Acosta '71, for honoring him. "I am overwhelmed with the opportunity to represent the school." He expressed how his having attended Saint David's had expanded his world and enabled him to forge new friendships. And Jamal, as Tully McLoughlin '03 did in his Thanksgiving Chapel Talk, referenced the school's imperative to share one's gift, to give back, noting that through his work on global initiatives in Africa he is "quite simply giving an opportunity to others who may not be able to come to an institution like Saint David's." Saint David's teachers are innovative and creative. We believe that technology should only be employed where it makes teaching and learning more efficient, effective and powerful. Fore example, in the First Grade our teachers are working 1-on-1 with boys to assess their ability to use a variety of strategies for addition and subtraction. Boys use a teacher-made activity on an iPad and talk through what they are doing and why they are doing it, as they drag “chips” across a number line, and use other “digital manipulatives” to communicate their thinking. The app our teachers employ records the boys' voices and also the movements of the objects on the screen – it basically creates a movie that makes plain how the boys are thinking through the processes of addition and subtraction. This tool (method) enables the teachers to “see inside the boys' minds” to gauge their understanding (and identify misconceptions) better than they could have by looking only at the end result, which would just be a number on a traditional worksheet, or paper and pencil test. It enables younger students to “Show All Work” which is something our older math students are always encouraged to do in order to give the teacher insight on how they arrived at the final answer. In a recent lesson, a first grade teacher guided a boy as he used a variety of strategies to solve addition problems on the iPad (video sample below). The boy not only had to come up with the correct answer, he also had to explain and show the strategy he employed. What's happening in First Grade right now is a great example of innovative technology thoughtfully integrated into our curriculum and our focus on how to better assess student understanding. ... spread through the school this afternoon thanks to the 2nd Grade. Here they are outside my office at 2:40 on one of their many stops around the school singing Christmas carols and reciting Christmas poetry. They could be heard throughout the entire school, voices echoing through our halls and classrooms -- good cheer abounds ... and they can draw quite a crowd! ... our summer program affiliate is recognized as one of America’s top-performing nonprofit organizations. The S&I 100 is the first-ever broad index of U.S. nonprofits to feature organizations like ours that address the country’s most pressing issues in education, health, youth and poverty. Horizons National was rigorously screened and selected for our proof of impact and ability to expand our program to thousands more children. ... Today Josh Chalmers, the author of Change the World before Bedtime and CEO of Earth2 visited the Omega boys as part of their career study and our ongoing Author Series, sponsored by the Parents Association. Mr. Chalmers began by reading his book to the class and then provided an opportunity for questions. The boys had many! They were most curious to learn about his life as an author (this is his first book). Mr. Chalmers commented that his favorite part of creating the book was seeing the illustrations the artist developed to complement his text; he loves how the illustrator, in an effort to underscore Chalmers' commitment to being green, used scanned images of vintage fabrics and recycled materials to create the illustrations. Read, read, read to your children. "We all have the power to change the world - and it’s easier than you think! Meet kids of all ages as they explore ways to be kind, generous, good neighbors in their hometowns, their schools and around the globe. 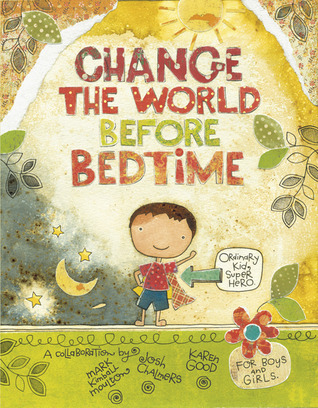 "Written in simple, engaging rhyme, this story takes an inspirational look into how the little things in life – a smile, a kind word, a simple deed – can help change the world in a big way. Through 18 stunning illustrations, children will read about eating right, cleaning up the Earth by recycling and conserving, helping the sick and those less fortunate, and working in a group to make bigger miracles. Even an ordinary kid can be a superhero before bedtime! For pre-k to 2nd. "Once upon a time, coincidence, fate, and magic conspired to introduce three big dreamers – Mark, Karen, and Josh. And new friends became forever friends who, separately and together, use their creative talents to change the world a little bit at a time." 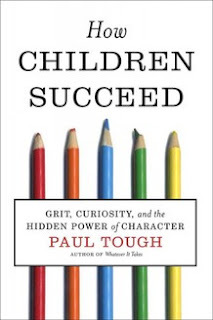 This is a great read for all parents and teachers. Focusing on character development, something valued at Saint David's, Tough challenges many of today's current practices. This is an interesting NPR article and Morning Edition interview with Paul Tough (NPR, 9/04/12) about his book. This past November 29, I took a quick trip out to visit alums at Lawrenceville and Peddie in Lawrenceville, NJ and Hightstown, NJ respectively. Traditionally, not many Saint David's boys have ventured west of the Hudson for high school. Those who have though seem to have gained from the experience immensely. I enjoyed a tour of the Lawrenceville campus with Nader (who presented his business card at the end just in case I had any questions after my visit), and then lunched with all three, Nader '09, Miles '09, and John '11, in the Senior Dining Hall. John was quite in awe. Apparently he never gets to experience the fancy senior spread found only in the esteemed Senior Dining Hall. We enjoyed a spirited lunch together. Nader is excited to be taking a creative robotics course this semester. He received his latest assignment while touring me--a very cool looking project box. Miles is proud to be one of 4 heading off to Houston, TX to represent the school at the National Diversity Conference being held this week. And John is super excited to be starting the hockey season. The boys expressed feeling well prepared for Lawrenceville and fondly reflected on their time at Saint David's. After lunch it was a short drive north to Peddie to visit Max '11. After a nice tour of campus, Max and I found a quiet place to chat for a little about the transition to high school, ways to improve Saint David's and things the school should never change. Max was candid and thorough in his critique. He is truly enjoying himself. He's most excited about gearing up for basketball season. In fact, he had to make tracks right from our meeting to a preseason scrimmage game. He must be all of 6'6''. I'm not sure what he's eating at Peddie, but it must be good too!